My name is Sarah Lloyd I am the founder and manager of Talley Wags Animal Care. I am an experienced and qualified animal handler. I have worked with all different breeds, temperaments, abilities, sizes and ages of animals especially dogs, all my life and have grown up with a farming family background. I worked for Southport RSPCA Rescue Centre in a full time position for 6 years and have seen on a daily basis how stressful life in kennels can be for so many animals. I started Talley Wags Pet Sitting & Animal Care in 2009 for family and a few friends. When it came to the time of year for me to go on holiday, I always knew I would never put my pets in the situation of being stressed in a place they had never been before, so wherever I went they came with me. This limited me to only going so far on holiday and the trouble of finding places that took pets. So Talley Wags Pet Sitting & Animal Care Was Born!! It requires a great deal of commitment and attention to detail, visiting clients in all weathers and all hours, walking dogs in the pouring rain, scorching hot sun or freezing cold winds. However to me, its the most rewarding of occupations. Talley Wags is not just a business or job to me... It is my way of life and lively hood, the animals in our care are loved as much as our own and become part of our family. I want to give people the chance to go away on holiday and ENJOY the relaxing time away that everyone needs once in a while, knowing their pet(s) are completely happy in the comfort of their own home and surroundings, getting the attention and exercise they love and need. • Your Dogs Fitness – Awareness of tissue types, muscles & injury prevention techniques. 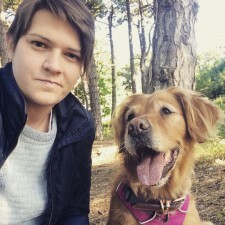 I am currently doing a Home Study Course with a top Canine Behaviour Centre on Dog Psychology working towards a Diploma to become a qualified Dog Psychologist. This will then lead onto a Dog Aggression Course Qualification. 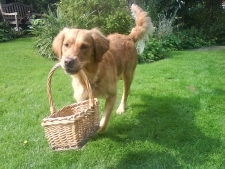 I currently own a 9yr old female working Golden Retriever called ''Talley'' that I have had since she was 1 years old I bought her off a lady that had to rehome her because she was ‘unwanted’. With my dog Talley who is my life! When I rescued her, she had no confidence or personality and would not interact with people when she came to me. All the activities I do and have done with her has now given her all the confidence that she needs, she is a happy, confident, well balanced dog who leads a very enjoyable life! 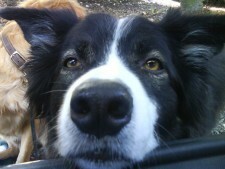 Unfortunately our 13 yr old male Border Collie called ''Moss'' passed away at the end of 2015. Moss was a working farm sheepdog in his younger years but then was made redundant through no fault of his own at 18 months old. Moss came to us with quite a few ‘issues’ that over the years I had worked on / lived with from human aggression problems to dog aggression problems. As our old gentleman he lived out his older years sleeping the days away in front of the fire dreaming of sheep. Moss was a very big part of Talley Wags and over our life journey together taught me many lessons. I have a great deal of thanks to give our boy as he enabled me to gain and acquire a large amount of my experience in dealing and handling dogs with the more ‘questionable’ temperament. So that brings me to now welcome the newest member of our family ‘Rowan’ our 6 months old male Border Collie who is growing very fast from the 8 week old bundle of fluff we fetched home! Rowan is enjoying all his puppy training slowly being introduced to bits of agility which he adores. He is definitely keeping us all on our toes too! Along with the dogs, I own - 1 cat, 3 rabbits and 3 guinea pig. 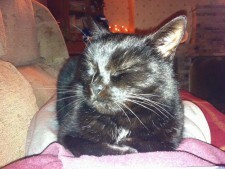 Along with the dogs, I own - 1 cat Called Meg, 3 rabbits, Harley, Junior & Oreo and 1 Guinea Pig called Storm. As Talley Wags Animal Care is an established business and still growing as time goes on. We always want to provide the best care for your beloved family pets. So we have a team of dedicated staff to work with myself on looking after the needs your pets require while at Talley Wags. Zoe has been working with us here at Talley Wags since October 2015. Zoe has always wanted a career working with animals and was very eager to join our team. Zoe has 2 dogs of her own called Max & Bella and 2 Chinchillas called Joey & Chandler who she is devoted. Zoe works alongside me with the daily running of the business and services we provide for the animals in our care. She is a vaulable and trusted member of our team and it is always lovely to hear the positive feed back from all our clients on how she handles and cares for their animals. There are always wagging tails, and very happy dogs when Zoe turns up to collect them for their walks... Which says it all ! My mum Tina has helped & grown with the business from day one each step of the way. 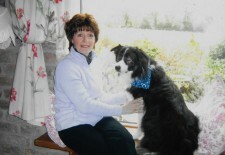 Tina helps with the smaller dogs, cat home visits and behind the scenes taking phone calls and welcoming new customers. Tina has her own Nursery selling Cottage Garden Plants and loves gardening but also loves all the animals that come into our care and is always happy to welcome and help new customer enquiries.